No matter how effective your HR department is in finding candidates for most positions within your company, there comes a time when using an outside executive recruiter can really pay off. 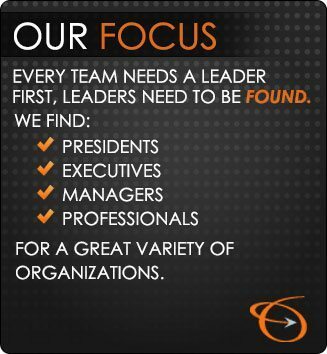 While some large corporations have the capacity and the finances to conduct productive searches for high-level executives in-house, most companies can use help when hiring a president, a CEO, or other top corporate titles. For most positions needed within a company, an HR department often finds suitable candidates in the local market. These openings might be for managers and directors. They may occasionally use temporary or permanent employment agencies to assist the search and, for specialized positions, they may do a broader-based search in a trade publication to attract candidates from outside the area. Many positions within the company are filled by promotion from within. When it comes time to hire a new president, however, Human Resources may not have the proper resources to get the right candidate for the job. HR professionals in most companies have many duties that preclude tracking the right candidate down to the ends of the earth. There are also budget constraints, as extensive searching can incur heavy expenses and a lot of executive time when candidates are flown in for interviews and wined and dined for a day or two. Even after spending a lot of time and resources finding a good potential candidate, it may prove that the wrong person is selected for the job. Often, HR personnel, and others in the hiring circle, are so close to the situation that they do not always zero in on the person that has the right combination of background, vision, and drive to lead the company. Every executive recruiter is in the business of finding the right candidate for a high-level opening. With a database of potential candidates, which include professionals whom they have sought out as well as those who have presented their credentials to them, recruiting firms are often in the position to fish in a wider pool of talent. Familiar with all the players in your industry, they can even seek excellent candidates from among your competitors and across the globe. In addition, they are expert in evaluating potential hires and matching them with your company before they send the candidate to you for an interview. As outsiders, they can sometimes find a better match for your company that you can yourself. They are even able to find those who are willing to work with you on a short-term basis to make sure that the match is correct. As professionals in the recruiting business, headhunters, as executive recruiters are also called, are often able to find a good potential hire for you in less time and at a lesser expense than you could if you did it yourself. 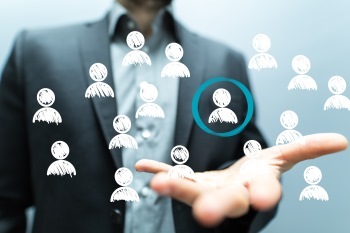 Placing top candidates in matching positions is the focus and purpose of management recruiting firms. For over 40 years, the Lawler Group, based in the Milwaukee, Wisconsin area, has helped companies of all types connect with the best talent in the industry. Part of the worldwide MRINetwork, the company serves both employers and job seekers to find the perfect match in the field. The firm’s expertise extends to all industries, including manufacturing and engineering.